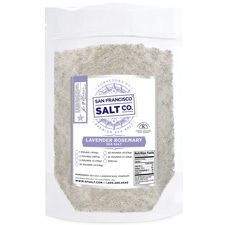 This salt is created by infusing Pacific Ocean Sea Salt with Lavender Buds and Rosemary. 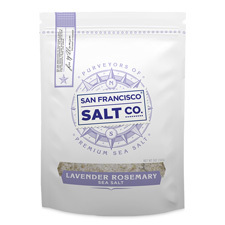 The floral earthy flavor of real Lavender Buds is perfectly complimented by the lemon piney flavor of Rosemary! 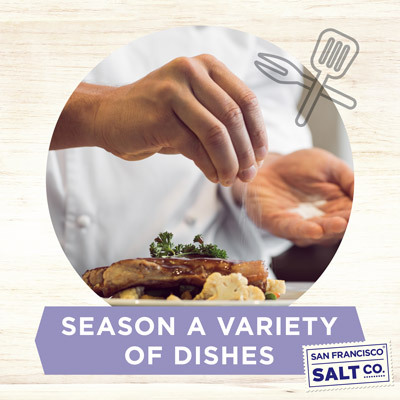 This aromatic salt is as versatile as it is delicious! Need inspiration? Try this Lavender Rosemary Fudge Recipe! 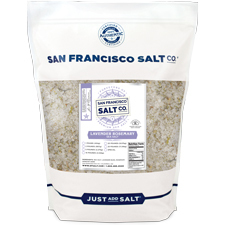 DESCRIPTION - Pacific Ocean Sea Salt infused with Lavender Buds and Rosemary. Packaged in our U.S.A., GMP certified packaging facility which is 3rd party audited by SCS Global. 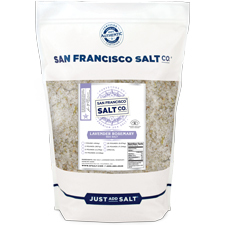 GRAIN SIZE - Fine Grain (0.1mm - 0.63mm) Suitable for a variety of culinary uses. 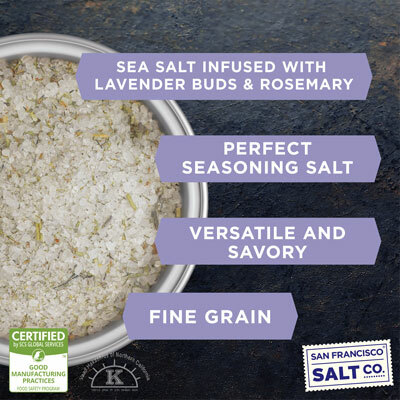 PROPERTIES - Our Lavender Rosemary Sea Salt is Kosher Certified, Non-GMO, and does not contain any MSG, Soy, Gluten, Dairy, anti-caking agents, or artificial colors.